Multistage pump can provide high-pressure liquid, which is widely used in various areas of national economy. 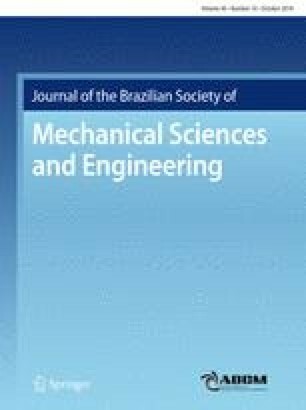 In order to improve the stability and reduce the noise of multistage pump, the relationships among the pressure fluctuation, vibration, and noise were studied deeply by using computational fluid dynamics and experimental measurement. Based on the unsteady numerical calculation, the phase of the pressure fluctuation wave in the middle section of the impeller and the diffuser was obtained, and the unsteady velocity distribution was acquired in the rotor–stator interaction (RSI) region between the rotational impeller and the stationary diffuser. Moreover, the vibration and noise tests of a five-stage pump with radial diffuser were performed. The results show that the phase distribution of the pressure fluctuation wave in the impeller and diffuser can be divided into four regions: the impeller flow channel region, the impeller transition region, the diffuser transition region, and the diffuser flow channel region. In addition, the pressure fluctuation, vibration and noise of the multistage pump are strongly related to each other, that is, RSI induces strong unsteady flow and pressure fluctuation in the pump, which makes the pump produce serious vibration and cause the corresponding noise. The key to controlling the vibration and noise is to reduce the effect of RSI between the impeller and the diffuser. Technical Editor: Francisco Ricardo Cunha. This work was supported by the funding for the National Natural Science Foundation of China (Grant No. 51609105), Jiangsu Province Universities Natural Sciences Foundation (Grant No. 16KJB570002), China Postdoctoral Science Foundation (Grant Nos. 2016M601738 and 2018T110458), Open Foundation of National Research Center of Pumps (Grant No. NRCP201604).